There isn’t a blueprint for becoming an entrepreneur. There also isn’t a universally agreed-upon definition. In the simplest sense, an entrepreneur is an individual who identifies a need or a problem and finds a way to fill it or a solution to fix it. An entrepreneur can be an inventor, an artist, or an organizer. In the end, it’s not so much the definition but the impact of entrepreneurship that matters. That impact is so powerful that, every November, 165 countries around the world dedicate an entire week to celebrating it. GEW Rochester kicks off on Monday, November 14 and runs through Friday, November 18. Events throughout the week provide opportunities to learn from those involved in new and existing startups, to support the evolving entrepreneurial ecosystem in Rochester, and to connect with kindred spirits. Local entrepreneurs Jamie Sundsbak and David Hewitt started GEW Rochester four years ago after Hewitt learned about GEW at an event he was attending in Kansas City. They only had a week to prepare, but they knew they needed to bring GEW to Rochester. “We only had a handful of attendees that first year, but we knew that we had tapped into something special,” says Sundsbak, community manager of Collider | Coworking. Since then, they have identified a team of individuals who are as passionate about entrepreneurship as they are and a strong base of sponsors to help support their efforts. The increase in attendance each year is reflective of the quality of the week’s events. This year the group is offering more than 17 events to celebrate and inspire entrepreneurs in our community. Events range from the DocuMNtary movie premier at Cinemagic Theater to a product release from GoRout to a tour of a potential wet lab space in Stewartville. “We also have entrepreneurial education classes – the ‘Start Something’ series – taking place Monday-Friday over lunch,” Sundsbak says. 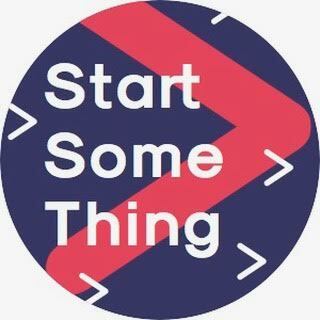 The series is new to this year’s lineup and is intended to grow participants’ knowledge about the basics of entrepreneurship with topics such as starting a small community business, professional networking, and startup funding. The week will wrap up with the annual RAVE “Recognizing Awarding Valuing Entrepreneurship” celebration, a partnership with Rochester Area Economic Development, Inc.
“By dedicating time and creating opportunities for people to connect and collaborate, we are reinforcing the value that entrepreneurs and startups bring to our community,” says Lisa Clarke, executive director of DMC. Mark your calendar for Global Entrepreneurship Week Rochester!